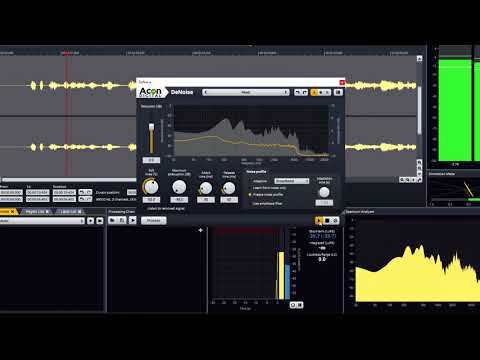 Acoustica is a comprehensive audio editor for recording, editing, mixing and mastering. Re-implemented from scratch for the highest quality demands and cross-platform support, Acoustica 7 is now the perfect tool for editing, mastering and restoration work on both Mac and PC (32 and 64 bit). The brand new user interface comes with a modern dark theme and appears crystal sharp on retina style displays. Acoustica 7 is available in a Premium Edition and a feature limited Standard Edition. A new set of tools for dynamic processing along with EBU R 128 and ITU-R BS.1770 compliant metering and normalization should sweeten the deal further. Limit is a brick-wall limiter and Dynamics is a combined compressor, expander and gate. Both tools have sophisticated algorithms with adjustable look-ahead for maximum transparency and up to four times oversampling. Multiband Dynamics available in the Premium Edition is a multiband version of Dynamics with separate processing in four bands and adjustable cross-over frequencies and filter slopes. The new Dither tool offers dithering with novel and flexible noise shaping options. Acoustica was added by Mike77 in Apr 2010 and the latest update was made in Feb 2019. The list of alternatives was updated Apr 2019 There is a history of all activites on Acoustica in our Activity Log. It's possible to update the information on Acoustica or report it as discontinued, duplicated or spam. Audiodope is an audio editor. You can load and listen to music files of various formats such as wave, MP3, wma etc. You can also edit part or the whole stream. Leapic Audio Editor is a all-in-one audio editor, converter, recorder, player, splitter and joiner. Alternatives to Acoustica for Windows, Mac, PortableApps.com, Linux, Android and more. Filter by license to discover only free or Open Source alternatives. This list contains a total of 19 apps similar to Acoustica. No reviews yet for Acoustica, want to be first? Maybe you want to be the first to submit a comment about Acoustica? Just click the button up to your right!